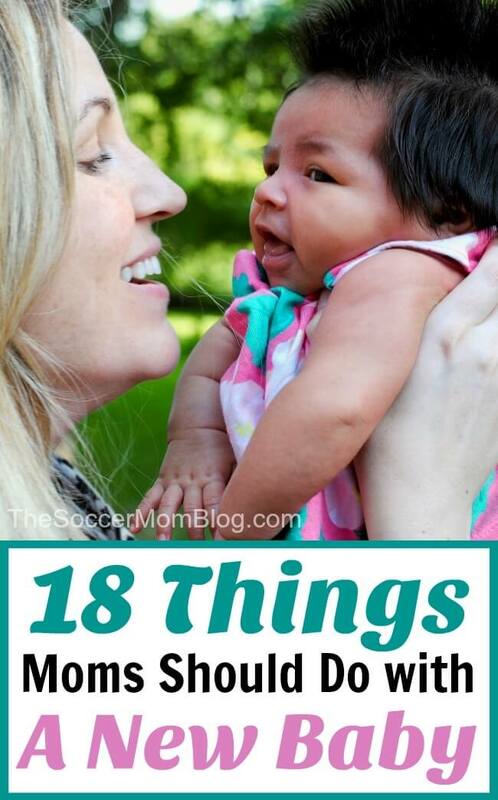 Inside: 18 things moms should do with a new baby to enjoy those precious early days to the fullest. Sponsored by Luvs at Walmart. We just welcomed our third daughter into the world in July. You always forget how tough the newborn days can be (mainly because sleep becomes a thing of the past), but at the same time you find yourself wishing time would stand still because they just grow up so fast! With our first baby, my husband and I kind of winged it, and I missed out on a few things like newborn photos with my little girl. Now that we’re “experienced” parents, I have a better idea of the things to do with a new baby that are important, and what is ok to skip. September is Baby Safety Month, so I thought it was the perfect time to share some of my must-have things to do with a new baby. Whether you’re expecting soon or just welcomed a new little one to the family, hopefully there are some ideas here you’ll find helpful! Take newborn portraits — Babies change so much during the first few weeks! Whether your do them yourself or hire a pro, you’ll treasure a portrait of your little one in those early days forever. 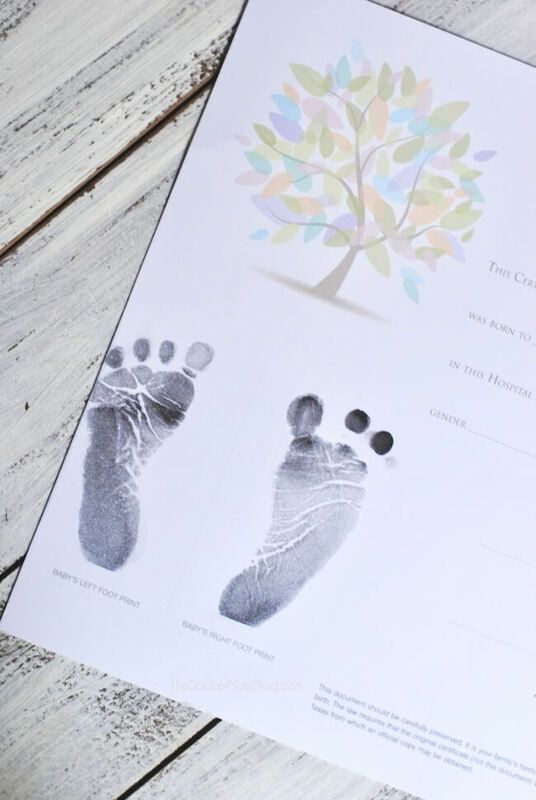 Get their footprints — Sometimes the hospital will do this for you, but if not, a simple ink pad can help capture those adorable little tootsies to frame as a keepsake. Send out birth announcements — Mail those gorgeous newborn photos to family and friends so they’ll have a keepsake too. Schedule a checkup — The American Academy of Pediatrics recommends that babies be seen by their pediatrician at 3-5 days after birth, with subsequent checkups at 1, 2, 4, 6, 9, 12, 15, 18 and 24 months. This allows your child’s doctor to get to know them and make sure all is well as they grow. Take quick videos — We have probably hundreds of short cell phone videos of all of our daughters and we love to go back and watch them together as a family. Don’t wait for so-called “special” occasions to film, as it’s often the simple everyday moments that are the favorites. Take photos of yourself with your baby — With my first baby, I was a little traumatized from a rough labor and had a “no photo rule” of myself for the first two weeks. I was embarrassed by my swollen face, but now I wish I had photos of myself with my daughter from the first month of her life. You’ll never regret taking the photo mama! Brush up on your baby safety knowledge — September is Baby Safety Month, but it’s always a good time to make sure that you’re up to date on the latest recommendations. Have your carseat checked out — Speaking of baby safety, it’s so important to make sure that your car seat is properly installed (as many as 4 out of 5 car seats aren’t installed correctly!) Many hospitals, police departments, and fire departments can perform car seat safety checks, so give yours a call to set up an appointment. Take a walk — Walking is one of the best beginning postpartum exercises (once your doc gives the ok) and fresh air and sunshine is good for the baby too. Win-win! Make time for yourself — Trust me, with three kids I know how hard it is to find time to take care of yourself. However, self care is crucial for your own well-being. When family or friends offer to watch the kids for a little bit, don’t play super hero…say yes!! (And “thank you” of course!) I actually just got my first post-baby pedicure a couple weeks ago, and while it was only an hour of “me time,” it was heavenly! Get out of the house — The first time we took a trip as a family of four, it was to the grocery store, and it took us an hour just to get everyone ready! Despite all that, it felt great to get out of the house and simply go somewhere. It was also a confidence booster to know that we can do a trip with three kids, including a newborn baby. The more we practice, the more efficient we become at our getting-out-the-door routine. Go on a date — Alone time with your spouse is hard to come by as you add to your family, but so important to the health of your relationship. Make it happen, even if only every month or every couple months! Keep taking your prenatal vitamins — While a balanced diet will provide most of the essential nutrients you need, it can tricky when you’re busy taking care of a newborn (and their siblings), working, keeping up with the house, you get the idea. A prenatal vitamin can fill the nutritional gaps, and is especially important if you’re breastfeeding. Use ALL of your maternity (or paternity) leave — Take advantage of every single day that you have! 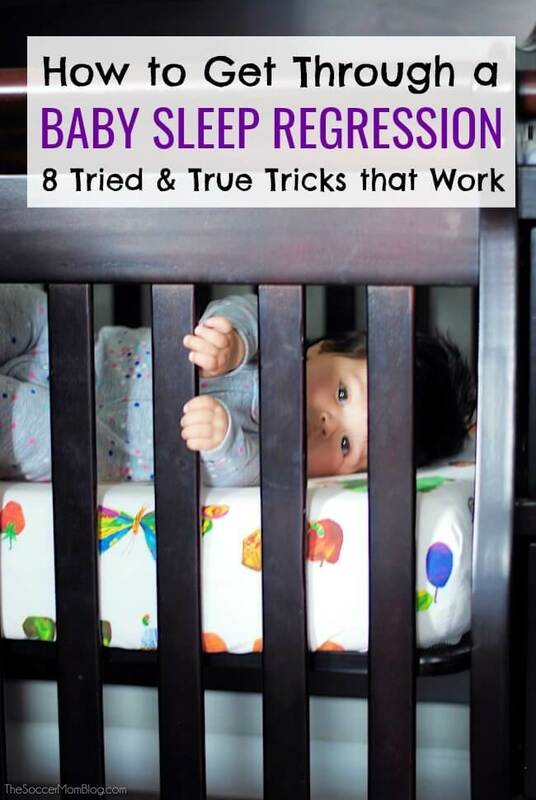 With my first baby, I felt pressured to go back to work before my leave was over, and that was one of my biggest regrets as a new mom. This time around, even though I own my own business, I carved out a set time that was just for us as a family. Work will still be there when you’re ready, and it’s important to take time to heal from birth and bond with your new baby. Put the phone away — I work from home and a lot of my work involves being on my phone. However, I try to make time to put the phone away and just be there in the moment. Fill up on snuggles — You can’t give your baby too many hugs, kisses, and snuggles. In fact, research suggests that more hugs can help your baby’s brain develop. Enjoy the moments — The newborn days are definitely tough at times, especially when you’re sleep-deprived. However, those precious days will be gone before you know it, and you little baby will never be that little again. Take a second every day to just live in the moment and appreciate every bit. You’ll miss these sweet newborn days later down the road. Remember above where I mentioned how helpful it is to stock up on diapers when the price is right? Be on the lookout in your Sunday paper on 8/26 for a P&G brandSAVER coupon that’s good for $2 off two bags or one box of Luvs diapers at Walmart. Luvs diapers are always a great value, but who doesn’t love an extra good deal? 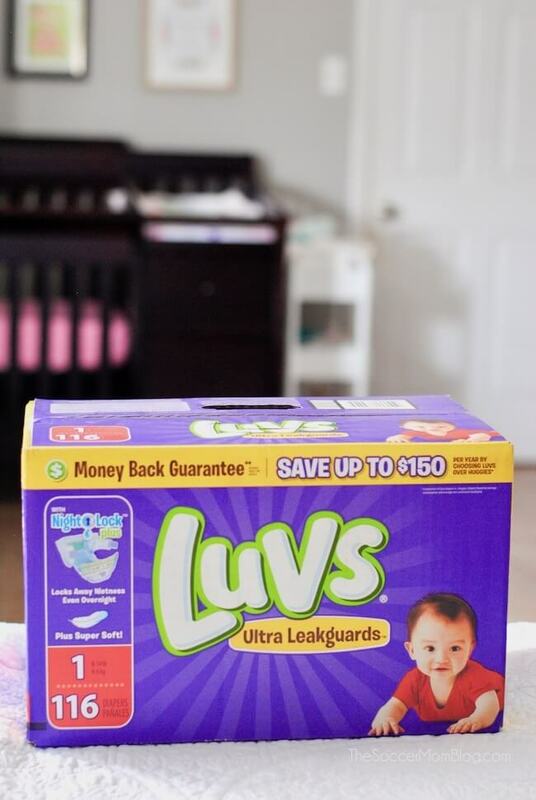 Luvs is the official diaper of experienced moms because of their great fit and great price. As much as I feel like I’m winging it at times, I’ve definitely gone through my share of diapers with three kids. Why spend more when you don’t have to? Great value at a great price — Luvs cost up to 9 cents less per diaper compared to other leading brands! Superior fit — Luvs diapers feature a Leakguard core that keeps babys skin dry and a flexible shape that contours to their body. Experienced moms: What is your number one must-do with a newborn that you would add to my list? Share your ideas in the comments below — it could help your fellow mamas!